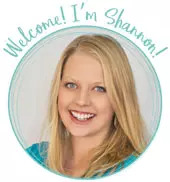 by Shannon Clark in Gift Ideas | 12 comments | Contains affiliate links. Try these cheap gift ideas that will bring joy to your loved ones without breaking the bank! Includes thoughtful but inexpensive gift ideas for everyone on your list. You start out with good intentions, but before you know it Christmas is right around the corner, and you’re out of time to do a bunch of DIY gifts to save money. Still, you’re determined to stay on budget and out of debt this year! This post contains a few affiliate links to some of my favorite affordable gift ideas! Before you ever start shopping, make a Christmas budget, so you won’t be trying to pay off Christmas in the new year! This is helpful because it will show you how much you can really afford to spend on each gift and what your threshold of a frugal gift is. 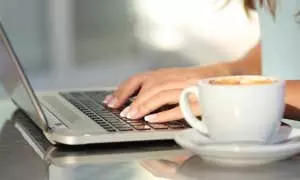 There’s nothing like some solid budget restrictions to motive creativity as you shop. That has really stuck with me, and I think it’s true for all relationships, not just those with our kids. Notice, only one of those is through receiving gifts! As you consider your Christmas shopping list, make sure that you’re choosing gifts that will truly be received with all the love you intend. Maybe the mom of little ones in your life would love nothing more than “coupon” for a few hours of childcare or a homemade meal delivered on a busy day. Perhaps your spouse is craving some quality time with you. Create an amazing date night that doesn’t break the bank. Here are some alternative gift ideas for kids that are great if you suspect they might have a more quality time bent that are frugal as well. Write a meaningful card or letter using words of affirmation to tell someone how special they are to you. You might end up saving money on gifts while giving your loved ones what they really want this Christmas. I love this inexpensive gift idea a reader shared with me. Even though she was facing Christmas on a very tight budget, she still planned to give a thoughtful gift of a Christmas card and a $5 gift card. Just about anyone would enjoy even a small gift card to Amazon or a coffee shop. If you have the right family culture or group of friends, don’t be shy about going used when it comes to Christmas gifts. In this family, declaring that you got an awesome gift for 25 cents is considered a good thing. 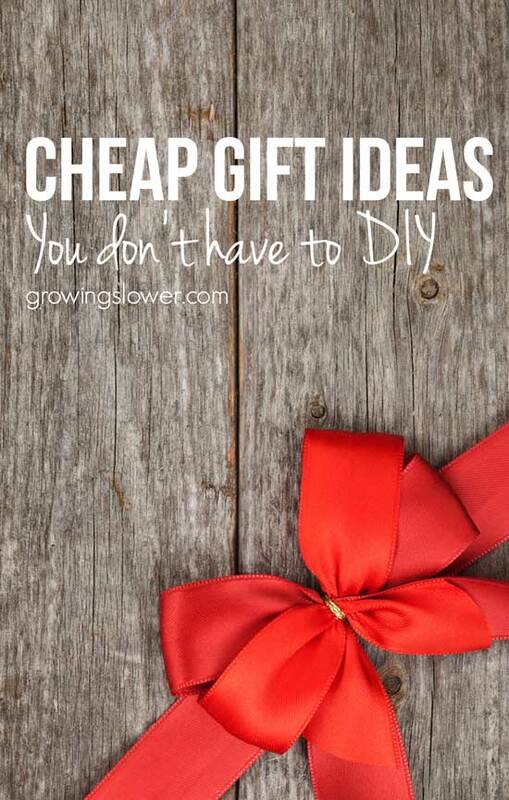 There are also some great cheap gift wrap ideas in this post, too! I just recently was initiated into the frugal findings of the dollar store, and I was shocked by what great stuff we’ve found there, especially for the kids. A few of our favorites are stickers, art supplies, and puzzles. Here are 25 more ideas for stocking stuffers for kids from the Dollar Tree. I say this with caution. If you can resist the more extravagantly priced “supposedly on sale” items on Amazon deals, then go ahead and check their deals page. I’ve also compiled a list of some of my favorite gift ideas on Amazon for under $15. This is a trick I always use to stretch my Christmas dollars a little bit further. I use money from other parts of our budget for things we would buy anyway and go ahead and gift them to the kids. This might be things like pajamas, school supplies, clothes, or anything I know they’ll need for the next stage or phase they’re getting into that year. It’s all stuff I have to buy anything. At this time of year, everything gets wrapped! This is a trick to stay frugal while spending a little more on Christmas gifts for the adults in your immediate family. Last year on my Facebook page I found out that giving kitchen appliances and tools for Christmas can be controversial! However, many families will spend as much in a month of groceries as they do on all of Christmas, so if you can invest in tools that will help you cook from scratch more and save on groceries all year long, do it! Here are my must-have kitchen gift ideas starting at $10. It was on Black Friday that I snagged my $10 blender when we were paying off debt, so keep your eye out for deals like this. Another example would be giving a membership like Amazon Prime as a gift to your immediate family. This is something that’s a little more spendy, but Amazon Prime really does save me a ton throughout the year. Garage sales, Amazon deals, and library book sales are just a few of the ideas in this post on how to shop year around for great deals on stocking stuffers or to give as Christmas gifts. I might also add, check the Target dollar bins, especially when they’re on clearance. Moms know kids often get tired of playing with their toys long before they’re really worn out. This is a great opportunity to save money on toys. The idea is simple. Moms get together and swap toys. You get to pass on toys your kids aren’t using anymore and snag some ‘new’ toys to use as gifts without spending a dime. I imagine any busy mom will readily agree to saving money and time with this cheap gift idea. This list has 7 beautiful gifts that will bring joy to the women in your life, and every one of them can be given for $15 or less. If you feel you really want to give your neighbors a gift, but your budget doesn’t allow for something big. Try out these cheap gift ideas. 10 cheap gift ideas for neighbors that will make them smile! This just goes to show that you don’t have to spend a lot to brighten someone’s Christmas. Go here to see gifts 1 through 5, and here to check out 6 through 10. What are your go-to cheap gift ideas? Share your ideas in the comments! A small landscape evergreen makes a great Christmas tree. Just buy it in the late fall when they are on sale. Dig the hole before the ground is frozen and don’t keep the tree in house so long before planting that it secumbs to the heat. Alberta Dwarf Spruce are good! Some of these are such fabulous ideas! It’s not that I’m bad about waiting until the last minute to buy gifts…it’s that the holidays really do creep up on you! I usually come to sites like these to try to look for “last minute” ideas, including those you can DIY. I always end up making it out alive with my husband’s help…and we don’t do black Friday! There are some great gift ideas in this post! We feel that a good way to impress somebody with a gift is to personalise it! Everybody loves to see their name on something when they open it up. Our personalised confectionery products are a great gift idea, not only because they are personalised, but the deliciousness of our products will leave your recipient wanting more! If I have the time, my go-to would be something baked: a pretty paper plate of an assortment of homemade cookies & goodies (assuming I’ve baked early) or a regular or mini-sized loaf of holiday quick-bread (usually pumpkin cranberry). I’ve also given homemade vanilla, pretty colored mason jars of layered hot cocoa, or a nicely packaged bag of tealights, Christmas tea, candy, and/or flavored hot chocolate packets. In our immediate family, we have sometimes given “gently used” gifts, including a little something we found at a consignment shop or church flea market and “hand-me-down” toys from my sons to their younger nephews. This may sound cheap to some, but in reality they often received a much nicer gift than we could afford if we had bought it new. All these sorts of gifts help to teach our children that a present’s value is not always determined by a price-tag. Another part that hit home for me was the reminder to love people the way they feel loved. Focusing on spending the day sledding together/ reading out loud in together/ playing together throughout the season can be a far more meaningful way to make memories than breaking the bank to get that Santa List! Aww thank you for taking the time to share your thoughts. I’m so glad there were some of these gift ideas that hit home for you. Wishing you a very happy (and frugal) Christmas!